to the Juvenile Court Project (JCP) website. 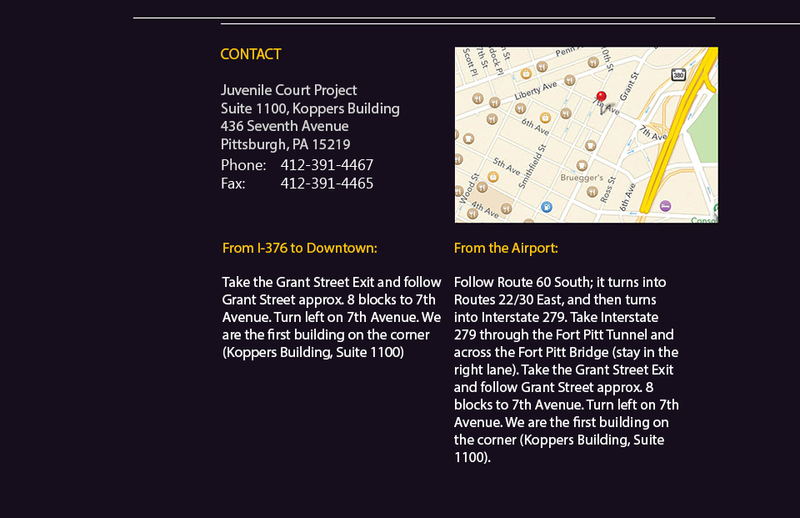 The JCP is a non profit legal assistance program of the Allegheny County Bar Foundation. 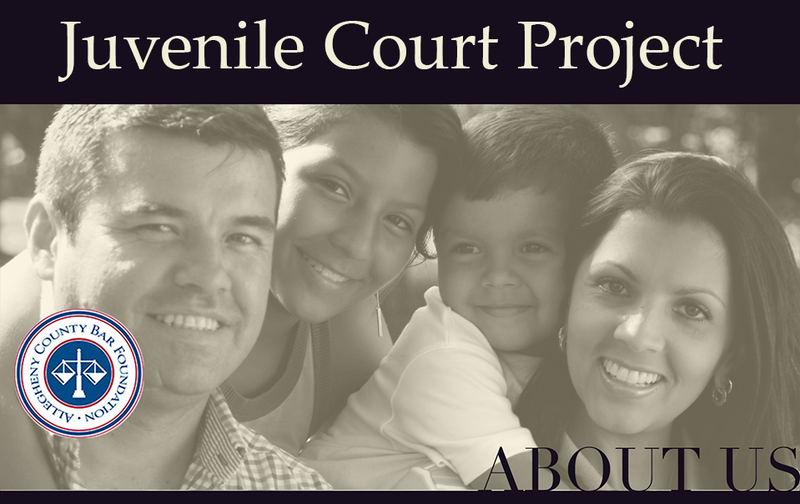 Our mission is to advocate for the interests and protect the legal rights of indigent parents whose children are the subjects of Juvenile Court dependency and termination of parental rights proceedings in Allegheny County. who are accused of abusing or neglecting their children. whose children while subject to compulsory school attendance are habitually truant. whose children habitually disobey their parents, are deemed ungovernable, and are in need of care, treatment, or supervision.